Thomas Jones was smiling as he left through the doors of The Mountain State Brewing Co. in Bridgeport recently. And for two reasons. Jones isn’t the only one stopping at the restaurant that opened late last year at Charles Pointe. And it’s probably a safe bet most are stopping in without needing to find some spare money in their pockets. The regional based restaurant is doing well as the New Year is underway, according to General Manager Emmaline Gross. She said things are working out well at the Bridgeport location. It’s the repeat clientele that often makes a business. A few months in, Gross said she’s already seeing that happen. The mindset should serve the business well. And should enhance a brand already popular at two additional locations. 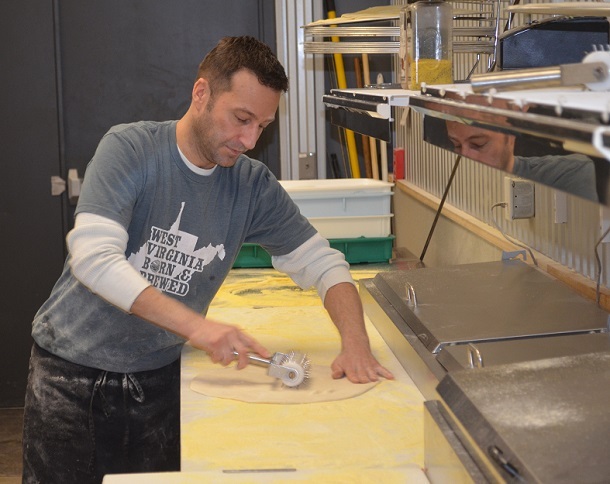 The new Bridgeport site joins the establishments in Morgantown and in Deep Creek, Md. 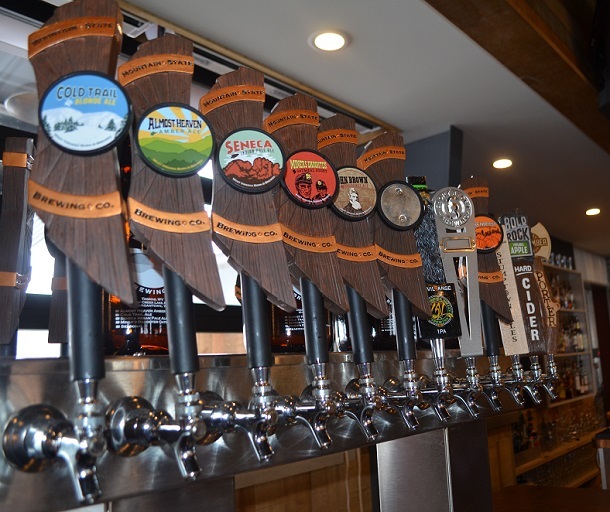 The restaurant serves many brands of its own beer and the actual brewery is in Davis. Gross said beer is definitely one of the specialties, including flagship beers from the Davis brewery. Food, however, is the calling card in a family friendly environment. 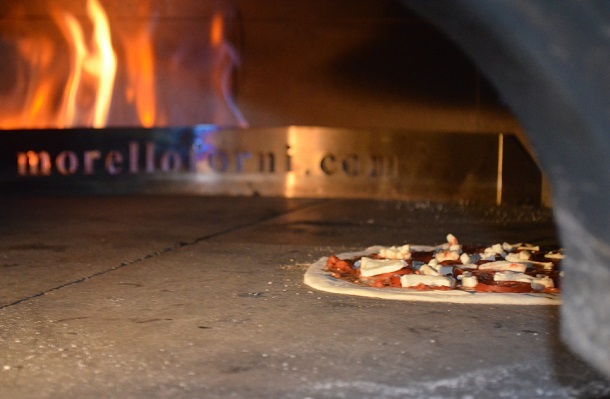 The menu features wood-fired pizzas as their most known item, which a re hand-tossed. There are wood-fired sandwiches on the menu as well as regular sandwiches, salads, appetizers, desserts and more. 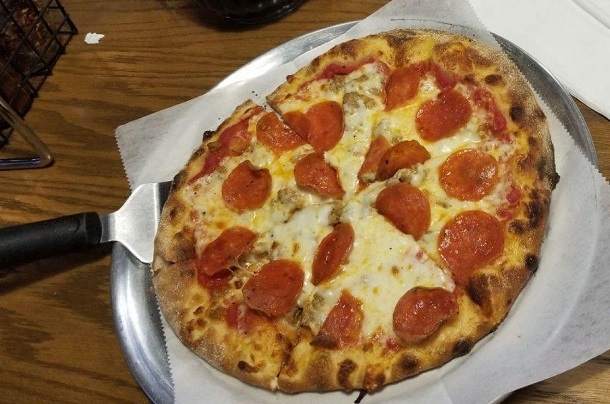 “We are definitely known for our wood-fired flatbread pizza and we have tons of options for that item. As far as the rest of the menu, there are plenty of items to choose from,” said Gross, citing the pulled park items at the top of her own list. The open concept restaurant includes a bar area and an area that can be made private if needed. Also, one section of the restaurant has yet to be open for public use. The restaurant is open Sunday through Thursday from 11 a.m. to 9 p.m. Hours of operation on Friday and Saturday are 11 a.m. to 10 p.m. The phone number is 304-808-6009. Editor's Note: Top three photos shows the preparation, the oven and the finished product in order. Bottom picture shows some of the offering on tap that are available.